Reconciliation Day is a public holiday in the Republic of the Congo that commemorates the Congo's national conference. The conference held in 1991 ended a long history of single-party Marxist rule. 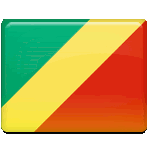 The Republic of the Congo became a fully independent state in 1960. In 1968, a group of military leftists led by Captain Marien Ngouabi organized a successful bloodless coup. In 1970, Ngouabi renamed the country the People's Republic of the Congo and declared it the first Marxist-Leninist state in Africa. The Congolese Party of Labor was the only political party in the country. Ngouabi was assassinated in 1977, but even after his death the People's Republic of the Congo remained a one-party Marxist-Leninist state. In 1979, Denis Sassou Nguesso became the new head of state and signed a friendship pact with the USSR. After the collapse of the USSR, Congo began a transition to multi-party democracy. In June 1991, a national conference was held. It removed the word “People's” from the country's name and laid out a specific agenda for the transition. Sadly, the planned transition to democracy gradually sled into political controversy that led to a civil war. Nevertheless, the conference was a turning point in the country’s history, that is why its anniversary is celebrated as a public holiday.